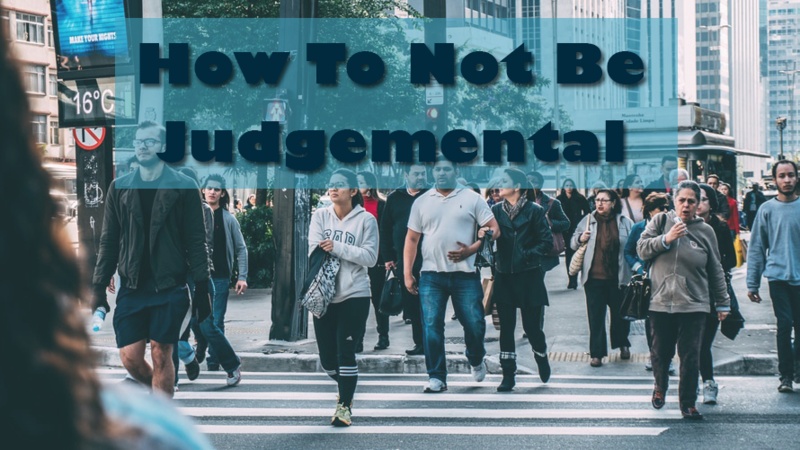 How To Not Be Judgmental - Better Believe It! Judging other people seems to be a natural habit for most people. As soon as we meet someone, we tend to size them up and make judgments about them, even though we have very little information to go on. We see how they’re dressed, how they use their body language, how they carry themselves, etc. and we immediately decide whether this is a “good” person or a “bad” one, and we decide whether or not we’d like to get to know them better or simply walk the other way. I have always had the habit of making up stories about people as soon as I meet them, and oftentimes, my judgments weren’t kind or inviting. When I was younger, I’d often encounter someone and immediately think that I was better than them in some way, or I’d put them down for some superficial reason. I came to realize that this was a bad habit, and I worked hard to eliminate the judging. By immediately judging people, I closed off a lot of opportunities to get to know some awesome people, and I lost a lot of opportunities to learn and grow. Judging people automatically divides us and separates us instead of embracing a “we are all one” mentality. When you judge, you elevate one person while downgrading another, and you put people on different levels, which creates discord and blocks off opportunities to connect, learn, and grow. And the fact is, you usually don’t have all the information you need to make an informed decision. So oftentimes, your judgement has no real basis in reality. When you judge people – either the ones you don’t know or the ones you do know – you raise a barrier to communication. 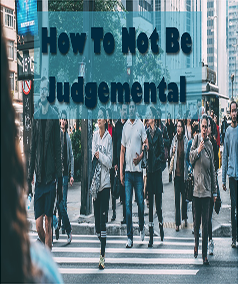 When you make a judgment about who a person is or isn’t, you’ve already decided who they are, so you oftentimes don’t try to break down barriers through communication and mutual understanding. When you judge, you don’t try to find out more, or try to understand, or build a bridge between you. First, Recognize That You’re Doing It. For me, judging people was so automatic and immediate that I had to really practice even noticing that I was doing it. When you first meet someone, pay attention to your internal reactions. Take a step back internally and leave some space to just observe. To stop myself from automatically judging someone, I made up some catch phrases to use when I meet someone or when I catch myself judging someone. I say in my head, “You’re interesting. I’d like to know more about you”. It reminds me to keep an open mind and wait before passing judgement. Instead of judging, I play a game where I imagine what it’d be like to be the other person. Say the other person dresses strangely or acts like he has a big ego or does something that would invite me to judge him. Instead, I imagine what it would be like to be him. I ask, “If I were him, why might I dress that way or act that way?”. “What kind of past experiences might cause a person to act like that or believe what he believes?”. I know it’s just a story, but it helps to make me want to learn and understand instead of passing judgement. 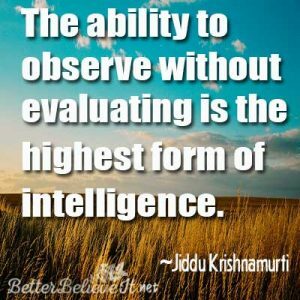 Instead of judging someone or thinking things like “he should…” or “she shouldn’t…”, I remind myself to simply accept what is. What a boring world it would be if everyone thought the same way or acted the same way. Diversity makes life interesting. Besides, most of the time, I can’t change other people, so it makes life so much easier to simply accept what is instead of trying to insist that it should be another way. This step isn’t necessary, but it’s what I do. Every day, I decide who I am. I want to be love and peace and contribute something good to the world. So instead of judging people, I say in my mind, “I love you”. There is good and bad in everyone, and you have a choice what to notice or focus on. I just try to love people now instead of judging them. Sometimes I’m more successful than at other times, but I always try. I’d prefer to love people. It’s a choice I make daily. What do you think? Do you feel that you judge people too much? Share in the comments below.